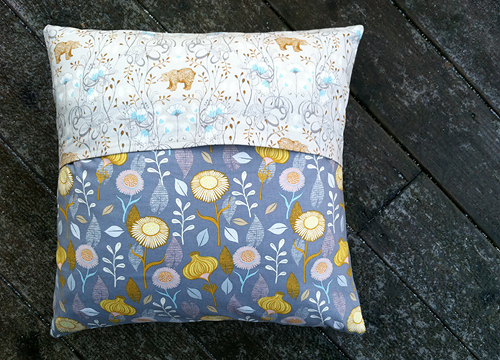 New pillows for the couch have been on my to-do list since the beginning of Winter. I love my Autumn pillows, but I was ready to put them away until next year. 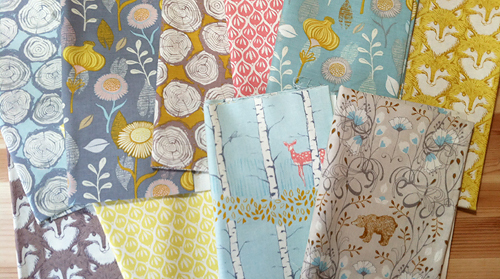 When I saw Sarah Watt's Timber & Leaf collection for Blend Fabrics, I knew the natural designs and soft colors were perfect for my house. 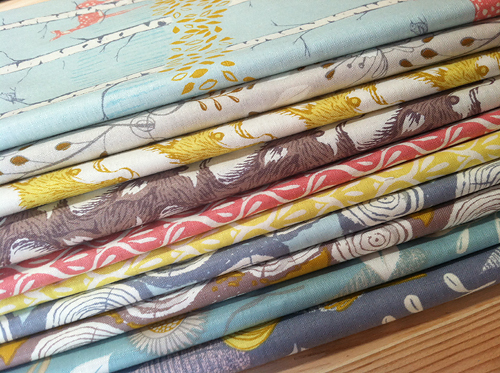 I mixed in Free Spirit Designer Solids in Pearl and Dogwood. I was inspired by Amy's Indie Vibrations quilt. I really liked how her string blocks were paper pieced so they would line up, but still be different widths of fabric strips. I made two paper piecing templates, each are 6-1/2" x 9-1/2" unfinished. I used 3 of each template to form the 18" square pillow. 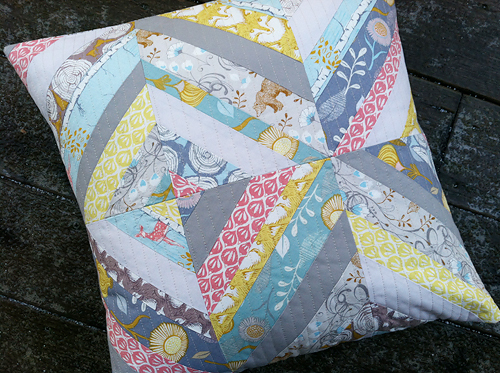 You can buy the pattern for Amy's Indie Vibrations quilt in her pattern shop. 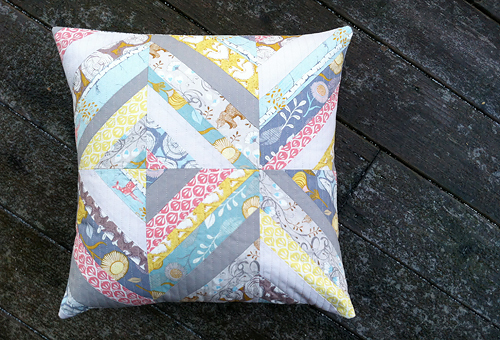 I quilted the pillow with straight lines, about 1/2" apart. The back is a simple envelope enclosure. 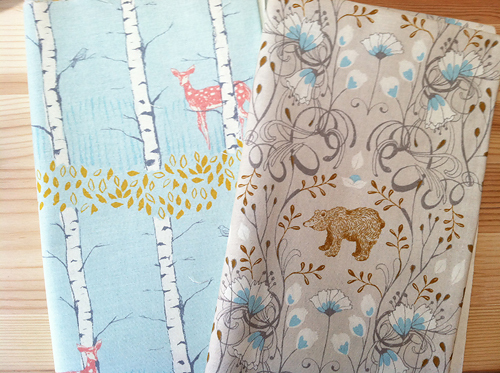 You can find Timber & Leaf at Moona Fabrics. Now to make another one for the other side of the couch!